What is it that defines a popular blog? More than dedication, people look for new ideas, concepts and fresh language. You may have been there since the conception of weblogs, but it won’t make any impact if you don’t find the right language to express yourself. 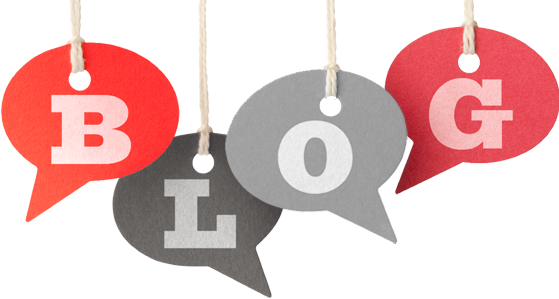 Blogs are a way to reach out to your potential readers, followers and customers, and to keep them hooked through the rest of your journey. So, here we are, trying to understand how to start a blog that will become successful and popular. This is very important if you want to intrigue a section of internet users and keep them hooked on to your site. If you want to draw the attention of all users who take an interest in sports cars, your blog must stick to the niche. We are fairly sure a speed-enthusiast will not be interested in seeing how to slow cook pork on an automobile blog. You can only find the ideal content for your blog after you understand your target audience. If your audience are medical professionals, you might want to help them out by providing latest research, latest laws and job opportunities in your blog. You blog should be tailor-made for your customer/reader. Always remember, readers have very less time to search for content that might intrigue them. You need to make your content relevant and visible to your visitors. We have been talking about keywords ever since the concept of SEO came into being. Yet, no one has been able to perfect the keyword density as of now. Keywords need to be dense enough in density to be noticed by search engines and need to be less enough so as not to be penalized. Research shows, search engines like Google and Yahoo! prefer long-tailed keywords. In 2017, the latest Google algorithm updates has made sure that the spiders can “understand” the context, meaning and identify the synonyms of keywords. Stuffing is not a necessity at all. How to reach out to your audience? The best way to make sure people actually read your blog is to stick to quality content and fluent language. Then you will need to promote your content to make yourself visible. The best places to push your blog include Facebook, Twitter, LinkedIn and SlideShare. Instagram can be a little difficult unless you can include a number of images or video clips with snippets from your blog. The easiest way to approach promotion is to make a list of available social influencers. You can tag them to your social media posts, post your blog URL on their public profile and start placing your deposits on their blogs/profiles as well. To understand the progress of your blog you need to have blog analytics in place. Traffic, re-tweets, backlinks, subscriptions and likes, all contribute to the success of your blog. Blog metrics are very easy to track if you have Google Analytics and similar tools in place. These tools are very useful in linking a specific metric to a specific outcome, for example – linking sales to sale specific blogs on your website. Getting a blog started is every man’s dream. However, maintaining it can become quite the nightmare if you don’t have the right guidance. Start with a purpose and slowly move on to the rest of the layers to unveil success. Comprehensive article with good links. Lots of great advice here. Creating and maintaining a blog with quality content is damn hard work. For anyone attempting to earn some money from a blog, I would also highly recommend Ruth Soukups’ book.